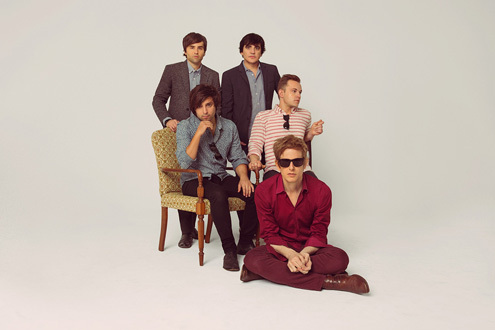 Festival favourites Spoon – last here in 2010 for Groovin’ the Moo and prior to that in 2008 for the national Big Day Out and Sydney Festival – return in 2015 for an all headline tour. The band rated the Artist Of The Decade (the best-reviewed band – on average – for the 2000s) by the aggregation site Metacritic, return this time is in support of their latest and greatest album They Want My Soul – like it’s predecessor, Transference, a top 4 debutant in the mainstream US charts. Featuring the singles ‘Do You’ and ‘Inside Out’, They Want My Soul also looks set to replicate the achievements of their first five albums rating highly with the critics. For this tour the Austin-born 4-piece will be augmented by the inclusion of multi-instrumentalist Alex Fischel, previously a member of Divine Fits who toured Australia for the Laneway Festival in 2013 and who also feature Spoon frontman Britt Daniel. Don’t miss the long awaited return of Spoon, this February. Tickets for all shows on sale Monday 20th October.